The performance of Information Retrieval in the Question Answering system is not satisfactory from our experiences in TREC QA Track. In this article, we take a comparative study to re-examine IR techniques on document retrieval and sentence level retrieval respectively. 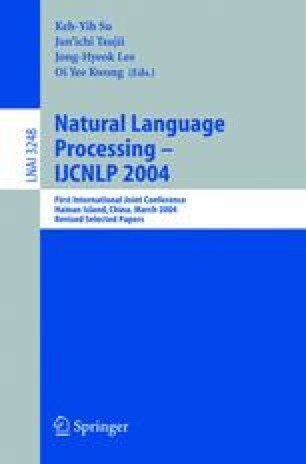 Our study shows: 1) query reformulation should be a necessary step to achieve a better retrieval performance; 2) The techniques for document retrieval are also effective in sentence level retrieval, and single sentence will be the appropriate retrieval granularity.